This corner Walk In shower enclosure is manufactured in superior 8mm toughened glass for sturdy rigid construction, so much so each shower is covered by a comprehensive manufacturers guarantee. This walk in shower can be used in a wet room situations without a shower tray or with a low level shower tray which is available as an optional extra. 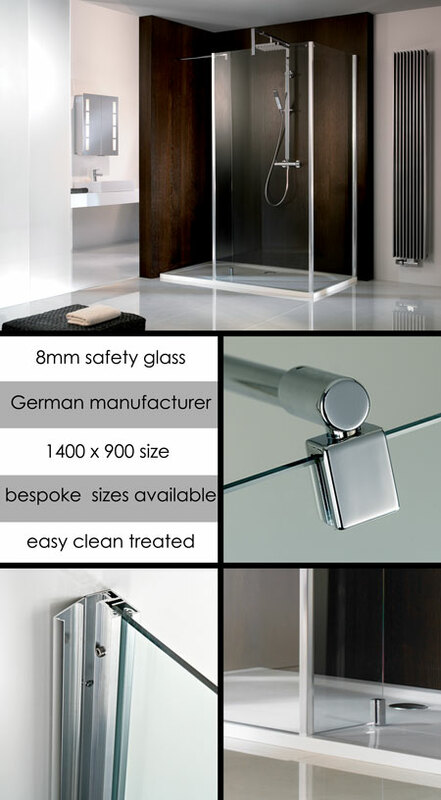 A thermostatic shower column with stabilising bar is also available. * Suitable for wet room installation.